Handwriting Helps the Brain Function. Mail a card including a hand-written message today and everyday! This blog has been switched to a new website. Please click here to go there now! Don’t Miss This Exciting Offer!! GET YOUR FREE BIG SHOT OR $100 IN FREE STAMPIN’ UP! PRODUCTS!! Promotion Details: The Big Shot is a big deal! And during October, get a FREE Big Shot (or up to $100 in free Stampin’ Up! products) when you purchase the Stampin’ Up! Starter Kit and become a member of the Classy Cut-ups Team! It’s the perfect opportunity for a hobby stamper who loves our products to get the Stampin’ Up! discounts and benefits AND there’s NO obligation to purchase or sell anything further. •Purchase the Stampin’ Up! Starter Kit during the promotion period and receive a Sizzix Big Shot Machine or $100 in Stampin’ Up! products of your choice from any of our current catalogs. Value to $440 and FREE SHIPPING! •Standard Starter Kit Contents cost $175. •My Digital Studio Starter Kit Contents cost $175. •Order your choice of starter kit online and get your Free Big Shot (or $100 in FREE product) by clicking HERE and then clicking on the Join The Fun tab. It’s that easy! •Once you order your kit online, you will be given access to the Promotional Product Bonus order type on the Stampin’ Up! Demonstrator web page (referred to as “OEX”) approximately one hour after you order the kit. You will also be provided a link to OEX for this redemption via e-mail. In this order type, you will either enter the item number for the Big Shot (item 113439) or the item numbers for up to $100 in Stampin’ Up! products. Products can be chosen from any current catalog and shipping is free! •Be sure that your free total comes as close as possible to $100 without going over since the Promotional Product Bonus order type will not allow items beyond $100 to be added to the order. •You will have until November 30, 2011, to redeem your product bonus. •Promotion applies to the purchase of the Standard or Digital+ Starter Kit. You may add the Stampin’ Memories, Definitely Decorative, or My Digital Studio Software Add-On for the regular add-on price. •As a part of my Classy Cut-ups Team and the Stampin’ Up! 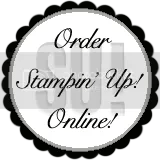 family, you can take advantage of Stampin’ Up! Demonstrator privileges and discounts. •the Starter Kit is only available to new members and not to current demonstrators. Q: Are there minimum sales requirements? A: The sales minimum is only $300 in merchandise per quarter. That is less than an average Stampin’ Up! workshop! Also, sales may be submitted in any increment, you will still get your discount and commission. Q: If I only want to do this as a hobby, and get 20% off merchandise, do I still have to do parties? A: Absolutely NOT! Stampin’ Up! supports the hobby demonstrator just as well as the career demonstrator. You can put in your own order or collect orders from family and friends to equal the $300 minimum for the quarter. A: Yes, you can be your own hostess anytime you want!!! You can invite your family and friends into your own home and have a workshop. You would be the hostess, receiving the hostess benefits, and you would also be the demonstrator receiving your instant income and commission! A: The standard starter kit is only $175 plus tax (with FREE shipping!) and is a $340 value! This includes everything you need to get your business up and running, including stamp sets and ink pads and paper hand selected by you. The kit also includes catalogs, order forms, training information and more! Starter kit contents change from time to time. Q: Will I be penalized if I quit or is there a certain time frame I have to be a demonstrator? A: If you decide to stop, you can do so at anytime you choose, keep everything that came in your kit to enjoy for yourself….. no penalties, no fees. Q: Are there incentives that can be earned as a Stampin’ Up! demonstrator? *In your first 3-6 months you have the opportunity to earn up to 9 free stamp sets from the current catalog through the Stampin’ Start Program. *30% Instant Income on your first order within 45 days of signing up. 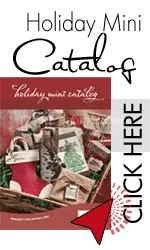 *Special ‘demonstrator only’ incentives include additionally discounted promotions, free stamp promotions, pre-buy new catalog merchandise, bulk buying and more! *Earn free incentive trips to exotic places. Destinations have been to the Caribbean, Bermuda, Hawaii, Alaska, Mexico and Panama! Next year is Figi! *Great Rewards—You earn points for your sales, and can use them to choose prizes like product and gift cards! First prize level only requires $1000 in sales per quarter! Q: Do people really make money at this? A: Yes! There are many demonstrators who make $1000, $5000 or even $15,000+ a month! There are even cash awards given out during the year for personal performance achievements and at convention too! Q: How much support can I expect? A: You can expect to receive full training from me, including business tips, ideas, stamping techniques, and ongoing support through our upline sources. There are monthly group meetings and training sessions. We also meet bi-monthly to share ideas, swap cards, and just enjoy each other’s company. Although you’re not required to attend these events, I highly recommend them! A: Stampin’ Up! has many resources for demonstrators. 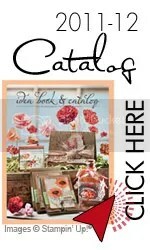 You will receive an Idea Book & Catalogs every year, as well as mini catalog publications, access to a demonstrator web site with a workshop planning wizard, samples gallery, project templates and patterns to use, a monthly Stampin’ Success Magazine, online audio and video training and more! It is OK to copy your projects from these sources and use them at your workshops… in fact, it’s encouraged! Q: Are there any Stampin’ Up! events that I can attend as a new demonstrator? A: Yes, almost all of them!!! Every year Stampin’ Up! has a 4-day convention in Salt Lake City, Utah. There are also regional seminars throughout the country. Q: Do you really love what you do? A: I ABSOLUTELY LOVE what I do and I know you will, too! I love Stampin’ Up! because of all the friendships I’ve made and because I love teaching, sharing, and meeting new people. I also love the company because of their commitment to their demonstrators and an outstanding product. If you have any other questions, please contact me at (727) 698-7509. This great opportunity on lasts a couple more weeks, so click on my “Order Stampin’ Up! Online” Button and then click on Join the Fun before it’s too late!